Islamic geographical texts are not only valuable in terms of geographical research, they also constitute an essential resource in the study of Arab-Islamic civilisation - its literature, history, learning and economics. This chapter will attempt a classification of the major achievements of Arabic geography, introducing the reader to the principal protagonists in each field and summarising their works, many of which would benefit from further study based on the original manuscripts. This article is taken from “The Earth and its Sciences in Islamic Manuscripts" (Proceedings of the Fifth Conference of Al-Furqān Islamic Heritage Foundation, pp. 175-219, 2011, ISBN 978-1-905122-12-7). We are grateful to Al-Furqān Islamic Heritage Foundation for granting permission. Please note that the images are added to this article by the Muslim Heritage Editorial Board. 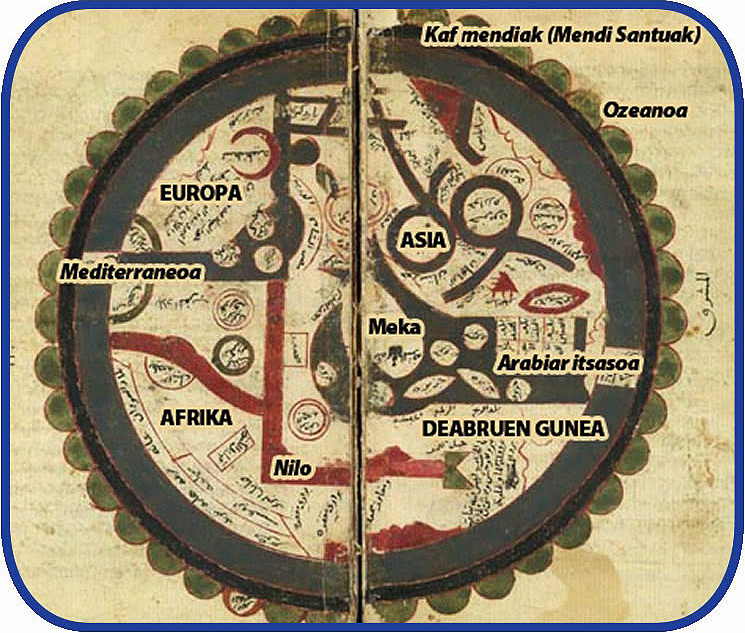 Arabic geography can be said to have its infancy with the works on geography and astronomy that appeared in the second half of the second/eighth century when Muslim scholars translated Greek works on these subjects into Arabic. Descriptive geography, a form of writing which was closely linked to travel literature, developed in the Muslim world around the third/ninth century. From this time onwards and through the fourth century hijri there was a creative flowering of Arabic geography though this development alone does not expain why such an abundance of authors left their mark in the annals of Arabic literature. These writers composed works of such a consistency of form and fluency that Kratchovsky has classified them as the ‘classical school of Arabic geography’ though they were also known as the school of al-masalik wa al-mamalik (routes and kingdoms). This development in descriptive geography was accompanied by the development of illustrative geography or mapmaking. The period from the sixth/twelfth to the tenth/sixteenth centuries also witnessed a proliferation of Arabic geographical literature. However, apart from a few exceptional works such as the writings of Sharif al-Idrisi, Yaqut al-Hamawi and Abu al-Fida, the level of geographical achievement in this period was considerably lower than that of the classical period. Possessed with sounder knowledge and a higher level of criticism than their predessors, they did not, however, produce any remarkable revelations. Essentially, these new writers’ achievement was in abridging the abundance of detailed knowledge found in the earlier literature. The period though is distinguished by the large numbers of geographers who emerged and, through their studies of the works of fellow historians and geographers they were able to broaden the scope of regional geography. Furthermore, during this period, the centre of geographical activity changed: Egypt and Syria replaced Iraq as the centre of activities for geographic literature. There was also a great flourishing in the production of lexicons and in the development of mapmaking skills. Mathematical geography essentially consists of representing the inhabited world by means of a grid based on lines of latitude and longitude that have been defined by astronomical measurements. This science reached the Arab world following the translation from Greek to Arabic of works by Ptolemy and others, in particular, the Zij (astonomical almanac) of Thaeon of Alexandria, the book al-Mijisti, which was translated between 175 and 180 hijri, and the work al-Jughrafiya, which was translated once by Ibn Khurdadhdhbih and either twice or three times by both Yaqub ibn Ishaq al-Kindi and Thabit ibn Qurrah al-Harrani. During the rule of the ‘Abassid Caliph al-Mamun (d. 218/833) an astronomical observatory was founded in the Shamashiyah quarter of Baghdad. Al-Mamun ordered the astronomers working in the observatory to devote themselves to testing the claims made in Ptolemy’s Zij and in al-Mijisti about the movements of the sun and other celestial bodies. As a result, numerous astronomical tables, or zij, were published which acquired the suffix, mumtahin, or ‘approved’. The scientists associated with this movement were known as the ‘masters of approval’. All of these zij have since been lost except for the material which was appropriated from them by later authors for use in their own work; writers such as al-Masudi and Abu ‘Abdallah Muhammad ibn Abi Bakr al-Zuhari (sixth century hijri). There is, however, an example of such zij to be found in the Escorial Library in Spain, the only remaining fruit of the astronomers of this period to have survived until the present day. This can be found under reference 924 by a writer of Persian origin, Yahya ibn Abi Mansur (d. c. 215/830). In 1986, Fuat Sezgin produced a facsimile edition of this work under the title al-Zij al-Ma’muni al-Mumtahin. One important outcome of this enterprise was the image of the world that al-Mamun ordered 70 astronomers to create for him, an image which constitutes one of the greatest Muslim achievements in the history of science. The one surviving copy of the book, Masalik al-Absar fi Mamalik al-Amsar by Ibn Fadlallah al-Umari, kept in the Ahmet III Library in Istanbul (cat. no. 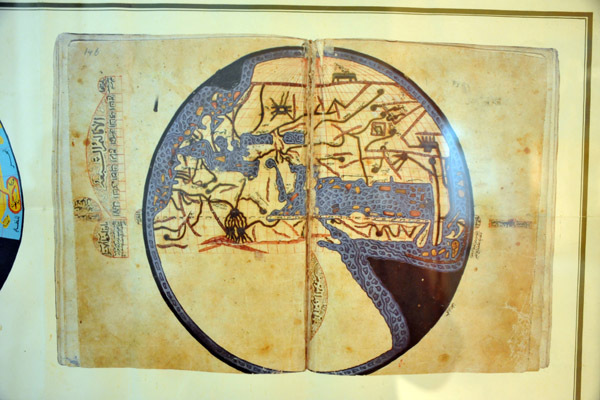 1/2797), contains an illustration of the al-Ma’mun map of the world dated 740/1340 (pp. 293-294). One of the most important sources of mathematical geography, which had a profound influence on subsequent developments in the science, is Surat al-Ard by al-Khwarizmi. Furthermore, no work on astronomy or mathematical geography that combines a scientific approach with a detailed commentary has had as triumphant an impact as al-Zij al-Sabi, which was published between 1899 and 1907 by Carlo Alfonso Nallino. The zij completed by Abu al-Hasan ‘Ali ibn Yunus al-Sadafi in Cairo was based on work began in 380/990 in the observatory on the Muqattam hills that was to become the Dar al-Hikmah (House of Wisdom) founded in 395/1005 by the Fatimid Caliph al-Hakim. This work was always associated with Hakim’s name and became known as al-Zij al-Hakimi al-Kabir. Today, there only remains a number of incomplete manuscripts of the work. Indeed, only a few short fragments of it have been published, though part of it was also translated into French by Caussin de Percival in 1803-1804. Arabic geographical works written around the third and fourth centuries hijri can be divided into two broad categories. The first comprises work by scholars who wrote about the geography of the world and included detailed descriptions of the Islamic realm, dar al-Islam. There were also works on astronomical, physical, human and economic geography by writers such as Ibn Khurdadhdhbih, al-Yaqubi, Ibn al-Faqih and Qudamah ibn Jafar al-Masudi. This group is often known as the ‘Iraqi School’ since most of the works were produced in Iraq and the majority of the geographers were Iraqi. The second category comprises work by such writers as Abu Zayd al-Balkhi, al-Istakhri, Ibn Hawqal and al-Muqaddasi al-Bashshari that dealt with the Islamic territory alone, describing every region individually. 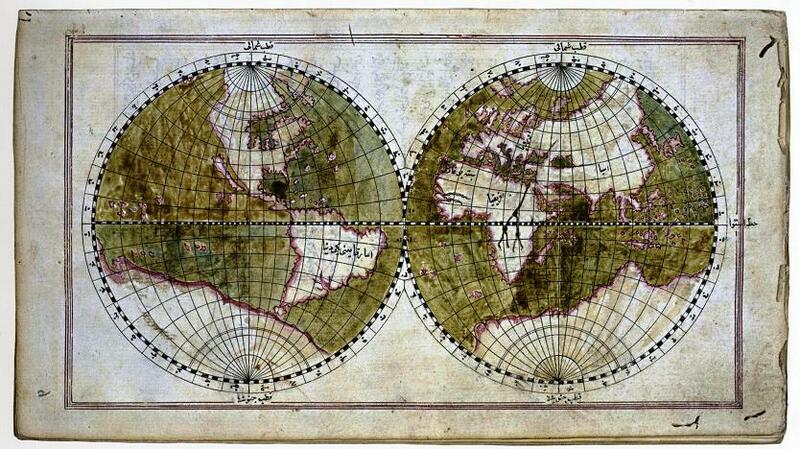 No countries outside the Islamic world appear in these works unless they happen to be adjacent to Islamic areas. The literature of this ‘classical school of Islamic geography’ provides us with the most favourable description of the Islamic world since it relies on material that was either a first-hand account of the author’s travels throughout many different areas and regions, or was based on what could be gathered from people who hailed from the places described. Commentaries were added to these accounts to provide further information - on populations, systems of transport and life in general - to provide an overall picture of political, social and economic life. The works of this school are linked to a series of maps to which Kratchkovsky has given the name ‘the Islamic Atlas’, maps which represent a high point of achievement in the art of mapmaking or cartography by Arabs and Muslims. 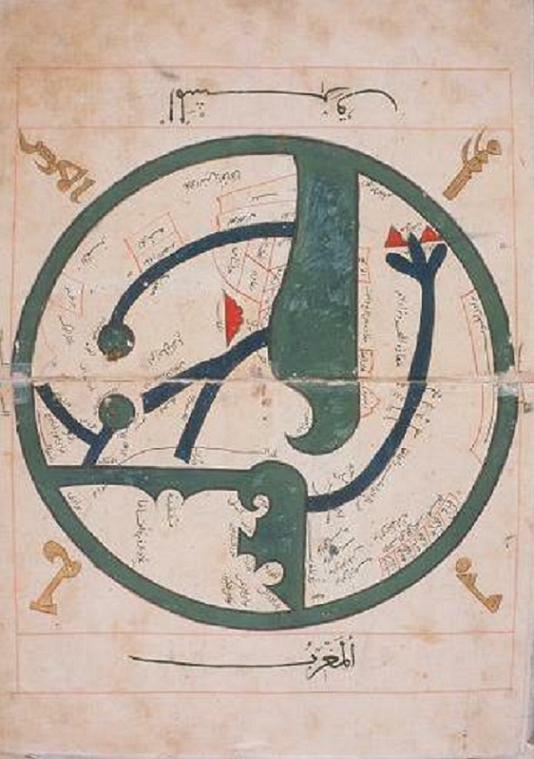 This ‘Atlas’ always contains 21 maps, produced in the same order, beginning with the circular map of the world otherwise known as the ‘al-Ma’mun map’. 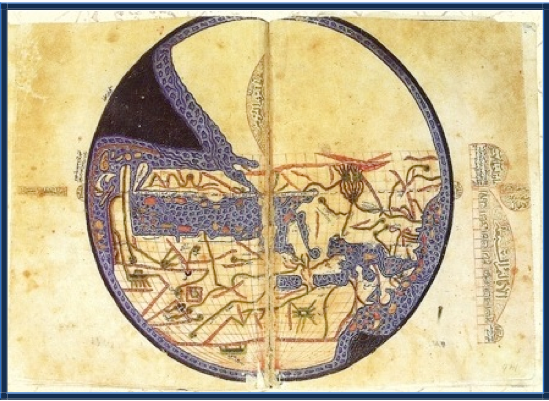 The main intention of the atlas is to depict the ‘Islamic world’, in accordance with the work of al-Istakhri and Ibn Hawqal in their specific way. Abu Zayd al-Balkhi (d. 322/934) was the pioneer of this school. His book, Suar al-Aqalim, was written in 308/920 or shortly thereafter. Unfortunately, there is no surviving copy of al-Balkhi’s book available to us today, nor of any manuscripts belonging to the period dominated by al-Istakhri. De Goeje’s (1836-1909) belief that al-Istakhri’s book - which was finished between 318/930 and 321/933, and therefore during al-Balkhi’s lifetime - resembles an extended copy of al-Balkhi’s book does, moreover, seem reasonable. The classical school placed a great deal of importance on producing an accurate representation of the Islamic realm, the dar al-Islam, but writings were more approximate about areas far from the centre, such as Iran and the Maghrib. The work of Ibn Hawqal was an exception, however, since he was the first to provide geographic accounts of the countries of the western Islamic world, the Maghrib, as can be seen from his book, Surat al-Ard. Editions of the latter have been prepared by both de Goeje and Kramers and a comparison of the two is valuable. There is a detailed description of the Beja region and its history, and of Eritrea which includes the names of over 200 Berber tribes, as well as a detailed description of Sicily. Ibn Hawqal’s book, moreover, provides us with one of the most detailed accounts of Andalusia during the Umayyad period. This has led a good number of researchers to speculate that Ibn Hawqal was a spy for the Fatimids. In addition, Ibn Hawqal’s description of Isfahan represents the most important contribution to this literature on the eastern part of the Islamic world. The Dutch orientalist Michael de Goeje (1836-1909) was in charge of directing the Bibliotheca Geographorum Arabicorum project, which between 1870 and 1894 published volumes of works by the most important writers of the classical school: al-Istakhri, al-Muqaddasi al-Bashshari, Ibn al-Faqih al-Hamdani, Ibn Khurdadhdhbih, Qudamah ibn Ja’far, Ibn Rustah, al-Ya’qubi and al-Mas’udi. In 1906, he also published Ahsan al-Taqasim by al-Muqaddasi al-Bashshari based on a new manuscript. 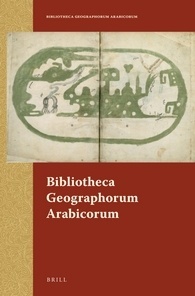 To edit the texts he published in the Bibliotheca Geographorum Arabicorum, de Goeje relied on the manuscripts available at the time, however limited they were in number. The years immediately following de Goeje’s death, however, witnessed the discovery of a large number of manuscripts produced by the classical school including 12 works discovered in the libraries of Istanbul alone, some of which are very old indeed. The discovery of all these makes a compelling argument for the publication of a new edition of the first parts of the Bibliotheca Geographorum Arabicorum, which would take into account the sources used and would also compare the extracts copied into later works with the original sources now available in the newly discovered manuscripts. To this end, in 1938, J.H. Kramers produced a second edition of Ibn Hawqal’s al-Masalik wa al-Mamalik with the title Surat al-’Ard, which was based on a manuscript from the Topkapi Palace Library, in Istanbul (ref. 3346). This is an early manuscript dated 479/1086. Another edition of al-Istakhri’s al-Masalik wa al-Mamalik was published by Muhammad Jabir al-Hini in 1961. Among the books published by de Goeje was Mukhtasar Kitab al-Buldan by Ibn al-Faqih al-Hamadani. The text studied was an abridgement made in 413/1022 by Abu al-Hasan ‘Ali ibn Ja’far al-Shirazi, who may have been the same copyist who transcribed the copy of Islah al-Mantiq by Ibn al-Sikkit, which is kept in the Kubrili Library, and the Diwan al-Buhturi, which can also be found there. Ibn al-Nadim mentions Ibn al-Faqih’s book, Kitab al-Buldan, which he describes as comprising about one thousand pages, and adds that he extracted the book from al-Nas and passed it on to al-Jihani. When a copy of the work came into the hands of al-Muqaddasi al-Bashshari it was said to consist of five volumes. Ibn al-Faqih probably wrote the book in about 290/903 but subsequently it seems to have disappeared for some time. During the beginning of the seventh century hijri, Yaqut al-Hamawi came across the original rough draft of the book from which he transcribed extensive extracts. In 1924, the Turkish scholar Zaki Walidi Tughan found the second part of the original draft, covering Iraq and the regions of Central Asia, in a geographic collection (ref. 5229) in the scientific library of Mashhad, Iran. When this collection was published in facsimile form by Fuat Sezgin in 1987, it also included an incomplete copy of the travels of Ibn Fadlan and two texts by Abu Dulaf Mas’ar ibn Muhalhil al-Khazraji al-Yunbui describing his journey to China and the travels he made in Azerbaijan and Persia in 331/941. It follows, therefore, that the version of Ibn Khurdadhdhbih’s al-Masalik wa al-Mamalik, which was published by de Goeje, contains only the first draft of the original book. In addition to these literary works from the classical school that have survived and been published in the present day, there are also geography books from this period whose originals have been lost and which remain in a fragmentary form only where extracts from them have been copied by later writers. Ibn al-Nadim recalls that, “the first person to publish a book in the al-Masalik wa al-Mamalik and which he did not finish was Abu ‘Abbas Ja’far ibn Ahmad al-Marwazi”. Ibn al-Nadim adds that his writing was very good but that the author passed away in al-Ahwaz and he took the book to Baghdad and sold it to someone in the physician al-Harrani’s circle in the year 284/897. This date coincides with the time that Ibn Khurdadhdhbih’s finished the first, and perhaps even the second, draft of his book of the same title. Al-Marwazi’s book disappeared after it was sold into the al-Harrani circle. History does not furnish us with any further information on his work other than meagre signs and excerpts, preserved for us by Ibn al-Faqih al-Hamadani and Yaqut al-Hamawi, that comment on Turkish tribes and a downpour of stones. From these bits and pieces Kratchkovsky has concluded that al-Marwazi made a valuable contribution and left his mark on the geography of Central Asia! A prominent practitioner of this period who left a deep impression on the growth and development of Arab geography was the writer Abu ‘Abdallah Ahmad ibn Muhammad ibn Nasr al-Jihani. Al-Jihani was the wazir to Nasr ibn Ahmad al-Thani al-Samani, the ruler of Khorasan and, according to Ibn al-Nadim, published a title in the series al-Masalik wa al-Mamalik, probably before 310/922. Al-Muqaddasi mentioned that he saw this work, in seven bound volumes, in the ruler’s archives but unfortunately it is no longer to be found. Since al-Jihani was a government official employed in Bukhara when he wrote his work he was able to extend his area of research into Central Asia and the Far East. 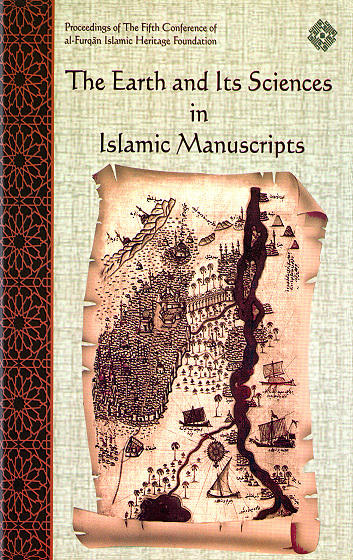 Al-Jihani’s book has been used by a large number of Arab geographers and, according to al-Mas’udi, it was: “a description of the world and news of what it contains in terms of wonders and cities and civilisations and seas and rivers and the states and their populations and, apart from this, strange news and fabulous stories”. The information that al-Jihani provided on the regions, cities and towns of Central Asia was al-Idrisi’s prime source for his description of the area in his book, Nuzhat al-Mushtaq. While all the al-Masalik wa al-Mamalik books mentioned above were written in Iraq and Iran, another geographer living in Egypt during the early part of the Fatimid era, al-Hasan ibn Ahmad (Muhammad) al-Muhallabi, wrote a book of al-Masalik wa al-Mamalik for the Fatimid Caliph al-’Aziz bi-Allah, which was later known simply as ‘al-’Azizi’. Al-Muhallabi’s book provided the most important source upon which Yaqut al-Hamawi drew when writing about Sudan; he quoted from it on more than 60 subjects. Al-Muhallabi did not, however, confine himself to the subject of Africa alone and Yaqut was to return time and again to his work to check on a wide variety of matters. Yaqut also visited al-Muhallabi informally and recorded the personal details of their meetings for prosterity. The loss of al-Muhallabi’s work is particularly sad. Yaqut did not preserve it for us, though he mentions it 60 times, nor did Abu al-Fida’, who mentions it on 135 occasions, though he did use a number of excerpts from it ranging from the extremely short to the very long. It is evident that these two writers considered al-Muhallabi to be among the greatest of geographers. While Abu al-Fida’ referred to al-Muhallabi only in terms of his commentaries on the countries of the Islamic world, from the excerpts which appear in Yaqut al-Hamawi’s work we can ascertain that in his book al-Muhallabi crossed the borders of the Islamic world and ventured into neighbouring lands. In the summer of 1957, Salah al-Din al-Munajjid found a part of this lost book in the Ambrosiana Library in Milan, where it was discovered within a collection of Yemeni material. It had been transcribed by Muhammad ibn al-Hasan al-Kala’i (d. 404/1013 or later) and begins: “Muhammad ibn al-Hasan al-Kala’i: Taken from a book of the ‘Azizi al-Masalik wa al-Mamalik, a work by the writer al-Hasan ibn Muhammad al-Muhallabi”. Al-Kala’i had transcribed sections on Jerusalem, the state of Egypt and a description of Damascus. Al-Muhallabi’s book is important for its direct knowledge of the rule of the Tamurlanes and was used as such at the beginning of the ninth century hijri, but it was also relevant given it provided material of a geographical nature. While al-Muhallabi was one of the first geographers to provide a description of Sudan, another account is to be found in the work of the Egyptian, Abu Muhammad ‘Abdallah ibn Ahmad ibn Sulim al-Aswani; Akhbar al-Nubah wa al-Maqurah wa ‘Alwah wa al-Bujah wa al-Nil wa Min ‘Alayh wa Qurb Minh. Al-Aswani lived around the middle of the fourth/tenth century and was dispatched by (and on written order of) the Fatimid ruler, Jawhar al-Saqlabi, to the Nubian King Qibirqi. He was entrusted with the tasks of explaining Islam to King Qibirqi and of improving the settlement of the tribute that the kings of Nubia were expected to pay annually to the rulers of Egypt. Al-Aswani’s mission to Nubia appears to have taken place in the period between 358 hijri (the date of Jawhar’s arrival in Egypt) and 363 hijri (the arrival in Egypt of his successor, al-Mu’az). Al-Maqrizi records that al-Aswani dedicated his book to the second Fatimid caliph, al-’Aziz bi Allah, who ruled between 365 and 386 hijri. The book itself contains a brief account of all the places that he visited and the people who inhabited them. His description of the Nile constitutes a unique contribution to the literature of early Arab geography in that it extended Arab knowledge of the upper reaches of the river. It would appear that this work, which is also now lost, is not known outside Egypt, although al-Idrisi’s description of the course of the upper Nile is clearly indebted to a transcription of these sources; clearly then, al-Idrisi must have had it close at hand. Yet today, we only know about al-Aswani’s work from the citations transcribed from it by three Egyptian writers: al-Maqrizi, Ibn Iyyas and al-Manufi. This genre of geographical literature developed from the efforts of Arab linguists - whom Yaqut al-Hamawi described as ‘the founding fathers of the literature’ - in the second century hijri. In seeking to record all Arabic and Bedouin placenames they founded a literature that continued to develop over the course of time leading to the appearance of Mu’jam ma Ist’ajam by Abu ‘Ubayd al-Bakri in the fifth century hijri and Yaqut al-Hamawi’s, Mu’jam al-Buldan in the seventh century hijri. In his introduction, Yaqut al-Hamawi mentions the most important writers published in this tradition; Abu Sa’id al-Asma’i, Abu ‘Ubayd al-Sukuni, Al-Hasan ibn Ahmad al-Hamadani, Abu al-Ash’ath al-Kindi, Abu Sa’id al-Sirafi, Abu Muhammad al-Aswad al-Ghundujani, Abu Ziyad al-Kalabi, Abu Muhammad ibn Idris ibn Abi Hafsah, Abu al-Qasim al-Zamakhshari and his student, Abu al-Hasan al-’Amrani, Abu Bakr Muhammad ibn Musa al-Hazimi, Abu Musa Muhammad ibn ‘Umar al-Isfahani and Abu al-Fath Nasr ibn ‘Abd al-Rahman al-Iskandari. Copies exist of works by other writers whose efforts were not republished after their first appearance: Kitab al-Amkinah wa al-Miyah wa al-Jibal by Abu al-Fath Nasr ibn ‘Abd al-Rahman al-Iskandari (d. 561/1165), a copy of which can be found in the British Library (ref. 23603), and Ma ittafaqa Lafaduhu wa iftaraqa Musammah fi al-Amakin wa al-Buldan al-Mushtabihah fi al-Khatt by Abu Bakr Muhammed ibn Musa ibn ‘Uthman al-Hazimi (d. 684/1188). These were published in facsimile form by Fuat Sezgin in 1986 and 1990 respectively. Mu’jam al-Buldan by Yaqut al Hamawi (d. 626/1229) was completed in 621/1224 and provides a compilation of contemporary geographical knowledge, replete with information of a historical, geographical and social nature. It is a priceless resource for anyone studying Arab historical geography. A basic edition of Mu’jam al-Buldan was published in a book by Wüstenfeld between 1866 and 1873. It is considered one of the most distinguished pieces of European Orientalism on Arabic literature. Unfortunately, however, the book did not really receive the treatment that it deserved in terms of scientific rigour as the original text was not published alongside the edited version. 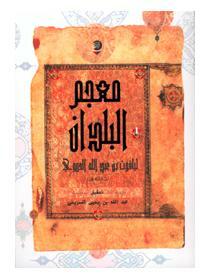 A new edition would be valuable, therefore, if it also included the text of Yaqut al-Hamawi’s other work, Al-Mushtariq Wad’an wa al-Muftariq Saq’an. This would constitute a true compendium of the subjects included, restoring all those that were mentioned by name only and were removed to make the text easier for revision. The geographical dictionaries published after al-Hamawi’s include some excellent examples such as al-Rawd al-Mi’tar fi Khabar al-Aqtar by ‘Abd al-Mun’im al-Himiari and Marasid al-Ittila’ by Ibn ‘Abd al-Mu’min, which is an abridgement of Mu’jam al-Buldan. With the exception of the works of al-Idrisi, no single, complete book published in Arabic in Muslim Spain on the geography of the area has survived intact to the present day. For example, of the geographical introduction written by Ahmad ibn Muhammad al-Razi (d. 334/946) for his book Akhbar Muluk al-Andalus, all that remains are basic literal translations in Portuguese and Spanish and a few scattered excerpts in other books, in particular al-Maqqari’s work, Nafh al-Tib. 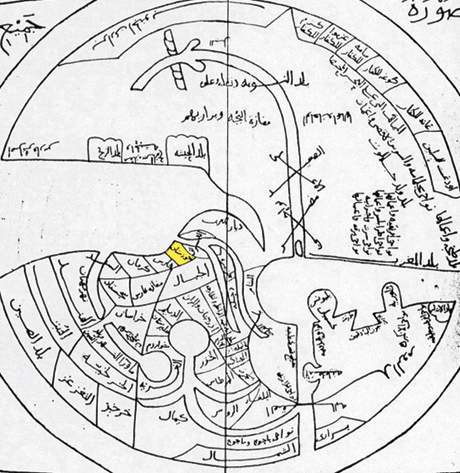 Nor do we have a copy of al-Jughrafiyah by Muhammad ibn Abi Bakr al-Zuhri (d. 545/1151), except for small fragments that appear to be part of an abridgement of the original work, based either on the book itself or on the al-Ma’mun map of the world, created by 70 philosophers on the orders of Caliph al-Ma’mun in Iraq. Similarly, there is no extant copy of Nizam al-Marjan fi al-Masalik wa al-Mamalik by Ahmad ibn ‘Umar ibn Anas al-Udri al-Dala’i (d. 476/1083 or 478/1085 at Valencia). The exception to this is a collection of papers, disordered and unnumbered, some of which deal with Muslim Spain. These were published by ‘Abd al- ‘Aziz al-Ahwani under the title Tarsi’ al-Akhbar wa Tanwi’ al-Athar wa al-Bustan fi Ghara’ib al-Buldan wa al-Masalik ila Jami’ al-Mamalik in Madrid, in 1965. Nothing remains of the works of Muhammad ibn Yusuf al-Warraq (d. 363/973) other than excerpts preserved in part by Abu ‘Ubayd al-Bakri and Ibn Adhari. Yusuf al-Warraq published a thick volume on the kings of Africa and their followers for the victorious ruler, which was subsequently selected by Abu ‘Ubayd al-Bakri for his book al-Masalik wa al-Mamalik. While al-Bakri attributes some quotations to al-Warraq, at other times there appears to be no fine distinction made between what is al-Warraq’s material and what is al-Bakri’s. Al-Bakri - as Hussein Mu’nis indicates - was not a mere copyist but an accomplished though disregarded geographer who improved what he was transcribing, both embellishing and editing the material. Muhammad ibn Yusuf al-Warraq was the first in the western Islamic sphere to write a book with the title al-Masalik wa al-Mamalik. From the excerpts transcribed in al-Bakri’s work, it is apparent that he was the first to invent the idea of mixing geography and history. An entry on any subject would be accompanied by its historical context and a detailed description of events. According to Dozy, Abu ‘Ubayd al-Bakri, ‘Abdallah ibn ‘Abd al-’Aziz ibn Muhammad (d. 487/1094) was “undoubtedly the greatest geographer to emerge from Al Andalus”. He was a wide-ranging writer whose works were among a number of founding literary compositions dealing with etymology and literature. This is why Kratchkovsky considered his book Mu’jam ma Ista’jam to be not so much a text on geography as a work on language. By this comment, he sought to imply that the widespread circulation of the book, because of its subject matter, contributed to a misconception of what the book was actually about. According to Abdallah al-Ghunaim, however, it was, in its day, known simply for itself, which is why it was classified as geographical. Its position was, therefore, the pivot around which al-Bakri’s lexicon revolved. Al-Bakri published his book Mu’jam ma Ista’jam during the early part of his scientific life and it was the very first lexicon to be so compiled. Two editions of the book have been published. The first was by the German Wüstenfeld in Gottingen between 1870 and 1877 and was based on manuscripts from Cambridge, London, Leiden and Milan. The second edition was printed by Mustafa al-Saqqa in Cairo, between 1945 and 1951, and was largely based on a copy from Cairo’s al-Azhar Library. The latter is an early but incomplete copy transcribed in 596 hijri in beautiful Andalusi script, described by al-Saqqa as being, “superior to all the originals which exist of this book as far as the condition and precision and clarity of this edition are concerned. Furthermore, the margins of the manuscript contained notes added to the original in the handwriting of the author”. As al-Saqqa noted, the outer edges of this copy do contain marginalia, which comprise a large number of additions and corrections. The most important of these additions are transcribed in the book al-Ta’liqat wa al-Nawadir by Abu ‘Ali al-Hajari, although he draws no benefit from them and even manages to obscure some. On examining the al-Azhar copy, ‘Abdallah al-Ghunaim discovered that these additional notes, of which there are around 80, are concerned with new subjects in addition to those included in the book, annotated in the margins alongside their entries in the order in which they appear in the lexicon. Ibn Sa’id al-Maghribi relied on Al-Mushib fi Fada’il (or Ghara’ib) al-Maghrib by ‘Abdallah ibn Ibrahim ibn Wazmar al-Hajjari (d. 550/1155) as the main source for his extensive study, al-Mughrib fi Hulay al-Maghrib, which he called Jahiz al-Maghrib. It is rare to come across any Andalusian writer after al-Hajjari who does not refer to him; an indication that his book was both reliable and thorough. Unfortunately, Ibn Sa’id mixed up his own words with those of al-Hajjari. He made extensive changes and replacements and although there are over 250 extracts, we do not know if these are faithful transcripts or whether they include additions and deletions. For this reason, al-Maqqari refers to it in a chapter devoted to Andalusian geography at the beginning of his Nafh al-Tib: this contains 20 long citations that form the core of that chapter. Throughout the rest of Nafh al-Tib, al-Maqqari includes extensive passages from al-Hajjari’s al-Mushib. 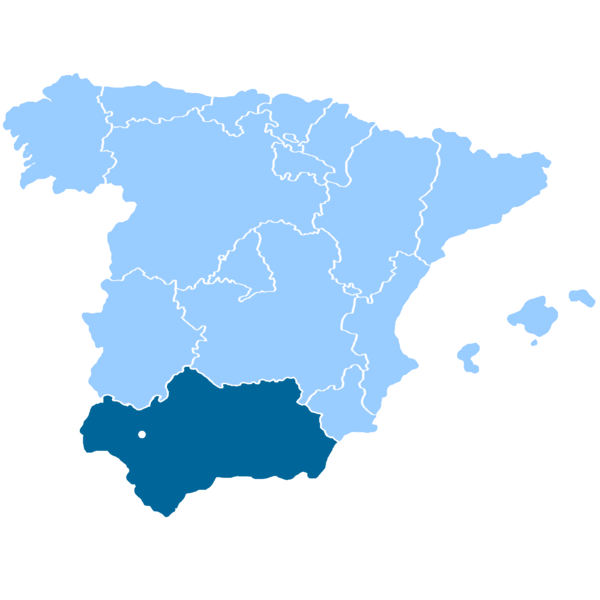 Some of these cover the general geography of Andalusia while others deal with descriptions of the cities and particularities of the regions. As far as general geography is concerned, al-Maqqari distinguishes himself but, as far as the regions are concerned, we find every thought on a particular subject is present in the same order as it appears in Ibn Sa’id’s al-Maghrib. Hussein Mu’nis claims that the passages dealing with the general descriptive geography of Andalusia were to be found in the chapter missing from Ibn Sa’id’s al-Maghrib manuscript that was published under the title Wash’y al-Tarash fi Hulay Jazirat al-Andalus. That al-Maqqari (d. 1041/1641) was able to make use of al-Hajjari’s book indicates that it must have been written around this time and disappeared shortly thereafter. This is the case with many of the copies referred to here, which were once available but now lost, for example parts of Tarikh Ibn Khaldun and al-Ihatah fi Akhbar Gharnatah by Lisan al-Din ibn al-Khatib. With reference to Ibn Sa’id, another valuable book which has been lost is the work of the geographer Ibn Fatmah who lived during the sixth/twelfth century. 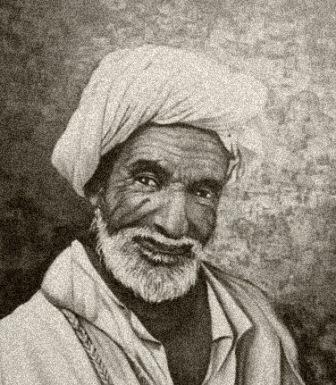 Unfortunately, we do not even know the full name of this man whose work is considered to be some of the best ever written by a Muslim about the regions that lie to the south of the Sahara. Both Ibn Sa’id and Ibn Khaldun confirmed that they had drawn heavily on this work and copied extensive passages from it. These transcriptions clearly indicate that his writing contained quite detailed information about Africa and its inhabitants south of the Sahara. Ibn Fatimah himself hailed from western Sudan and made extensive journeys along the African coast, travelling as far as Somalia and Ethiopia. He then penetrated deep into the continent and saw the source of the Nile. His account and observations provide a very clear guide to the region. The most important of the geographers in the western part of the Muslim world was undoubtedly the great al-Idrisi, Abu ‘Abdallah Muhammad ibn Muhammad ibn ‘Abdallah ibn Idris, who died in his birthplace, Ceuta, in 560/1160. His book, Nuzhat al-Mushtaq fi Ikhtiraq al-Afaq, is the most well-known work on Arab geography in Europe, in general, and among orientalists in particular. Indeed, there is no finer book on Arab geography. Its fame is derived from the fact that al-Idrisi was an Arab geographer who spent most of his life in Sicily. Sicily was, by a wide margin, the place in Europe most strongly influenced by the Islamic civilisation. It follows, therefore, that an abundance of documentation was to be found in Sicily in its day. Al-Idrisi published his book there in response to a request by Roger II, King of Sicily. For a long time, al-Idrisi was the sole representative of Arab geographical literature in European scientific circles and he came to be considered the greatest of all geographers, without exception, within the general framework of Arab geography. While al-Idrisi’s Nuzhat al-Mushtaq has been published numerous times, the most important edition is the one printed by the Institute of Eastern Studies at the University in Naples (1970-1984). Al-Idrisi’s last book, Uns al-Muhaj wa Rawd al-Furaj, was published by Roger II’s son, Guillaume I, King of Sicily (1154-1166). A copy of this work was discovered in the Hakim Uglay Ali Pasha Library in Istanbul by the orientalist Joseph Horowitz (ref. 688), but it has still not been published. In the introduction, the author describes his satisfaction with “the abbreviations and omissions of the prattle and excesses” referring to its being based on the same sources that are used in Nuzhat al-Mushtaq. Horowitz also found a reference to another copy stored in the Hasan Hasanu Library in Istanbul (ref. 1289) The copy in the Hakim Uglay Ali Library includes an atlas of 73 maps, which were published by Müller, in 1926, under the title Pocket Atlas. To date, no one has studied the link between al-Idrisi’s manuscript and the edition published by Fuat Sezgin in facsimile form, in 1984. 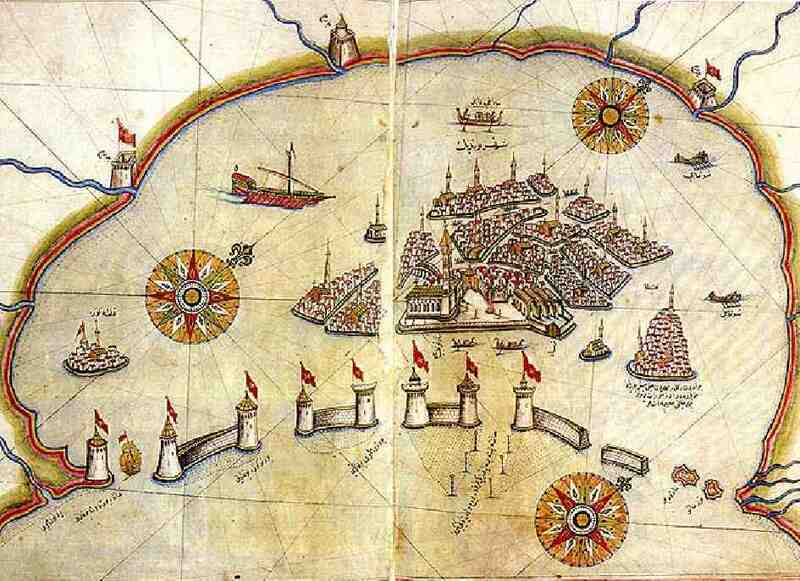 One of the most important sources provided by the introductions of books dealing with the history of the larger Islamic cities is their descriptions of the cities’ topography. The majority of topographical descriptions, such as those which appear in the foreword to Tarikh Baghdad by al-Khatib al-Baghdadi or the foreword to Tarikh Madinat Dimashq by Hafiz ibn Asakir, were matters of specialist study. Whether by intention or not, those histories that are accompanied by a description of the city’s topography throw light on the subject for the reader as though it were being explained by a teacher of antiquity. Egyptian authors alone were particularly distinguished by their specialism in topography, a skill that had developed during the Fatimid period and reached its zenith in the ninth/fifteenth century with the work of the well-known historian and topographer, Taqi al-Din Ahmad ibn ‘Ali al-Maqrizi. The first book published to provide a plan of Egypt was by Hasan ibn Muhammad ibn Zulaq (d. 386/996) during the early part of the Fatimid period; no copy of this has survived to the present day. This was followed by ‘Abdallah Muhammad ibn Salamah ibn Ja’far al-Quda’i’s (d. 454/1062) al-Mukhtar fi Dhikr al-Khitat wa al-Athar. Al-Quda’i wrote this prior to the years of the so-called al-shiddah al-mustansiriyah, or anti-Christian violence, of the middle of the fifth century hijri, which greatly changed the situation for scholars in Fustat Egypt. Thus al-Maqrizi writes: ‘More were wiped out than they say and it will not be cleared up until light is thrown on the matter or what happened in Egypt in the year of the violence is solved’. Al-Quda’i’s book did not disappear, like so many other sources from the Fatimid period, until much later and extensive passages were transcribed both from al-Qalqashandi and al-Maqrizi in the ninth/fifteenth century. He was considered current up to the first decade of the tenth century hijri when al-Suyuti (d. 911/1505) used an account of the conquest of Egypt in his Husn al-Muhadarah referring to a copy of al-Quda’i’s book, which was transcribed in al-Quda’i’s own handwriting. Egyptian books of graphic description that have not managed to survive to the present day include Khitat Misr by Muhammad ibn Barakat ibn Hilal al-Nahwi al-Misri who died in 520/1126 at the age of almost one hundred. Al-Maqrizi came across a copy of book transcribed by al-Sharif Muhammad ibn As’ad al-Jawwani (d. 588/1092). Al-Jawwani himself published his own book on the subject under the title Al-Nuqat bi ‘Ujm ma Ushkil min al-Khitat. There are no extant copies of this work although al-Maqrizi did transcribe a number of extracts from a copy handwritten by the author himself. The first person to complete a book giving a graphic description of Cairo was Qadi Muhyi al-Din Abu al-Fadl ‘Abdallah ‘Abd al-Zahir (d. 694/1293). The title was al-Rawdah al-Bahiyah al-Zahirah fi Khitat al-Mu’iziyah al-Qahirah. Until recently, Ibn ‘Abd al-Zahir’s book was thought to have been lost but it was announced that a copy had been found in the British Library by Abdallah Yusuf al-Ghunaim. This copy was published in Cairo, in 1996. Qadi Taj al-Din Muhammad ibn ‘Abd al-Wahab ibn al-Mutawwaj (d.730/1330) wrote a graphic description of Fustat in Egypt under the title Iqadh al-Mutaghaffil wa Itti’adh al-Muta’ammil. Al-Maqrizi described this as a large book compiled in 725 hijri. Sarim al-Din Ibrahim ibn Muhammad ibn Aidumur al-‘Ala’i, known as Ibn Duqmaq (d. 809/1407), wrote a book entitled al-Intisar Liwasitat ‘Aqd al-Amsar. Of this, only the fourth and fifth parts have survived in the form of part of a rough draft written by the author himself. These two surviving parts comprise descriptions of Fustat and Cairo. G. Salmon considers him for this reason to be the best guide possible to the topographical construction of Fustat, the camps and the part of Islamic Egypt which later became Cairo. This draft is now stored at the Egyptian National Library (ref. 1244, History). It was published by Vollers, in 1893, in a rather poor edition - a good argument for republishing it in the same way that many of the books that were printed in the nineteenth century should be reissued, in accordance with the current scientific standards adopted when publishing heritage works. These authors led the way for later achievements in this branch of Arab geographical literature, as exemplified by the writings of the master historian of Islamic Egypt, Taqi al-Din Ahmad bin ‘Ali al-Maqrizi (d. 845/1442), in his Al-Mawa’iz wa al-I’tibar fi Dhikr al-Khitat wa al-Athar. Al-Maqrizi certainly made a great impression with his scientific endeavours, covering both history and historical geography on a wide front. There are a number of studies devoted to him and, in 1995, al-Furqan Islamic Heritage Foundation published a draft of the book that had been handwritten by al-Maqrizi himself. One of the most important sources of Egyptian graphical description is a book attributed to Abu Salah al-Armani, a part of which was published in Oxford, in 1895, by the orientalist Evetts, based on a copy stored in the Bibliotheque Nationale, in Paris (ref. 357). The book comprises a topographic description of churches and important places in Egypt; its material is divided into subjects according to geographic distribution. In 1984, the monk Samuwil al-Suryani published a new edition of the work, including the part published by Evetts in the second half of his volume. The first part contains material published for the first time on churches and gives information on the coastal regions as well as a section on Cairo. 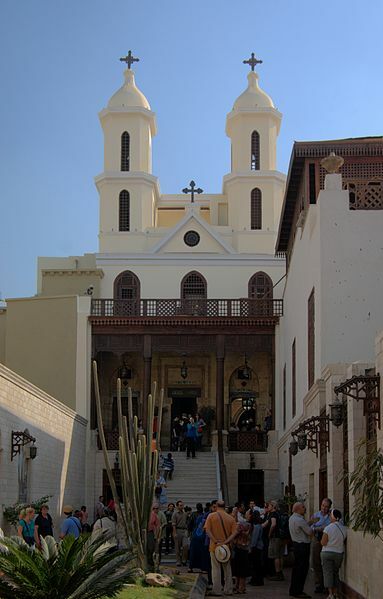 The second part comprises descriptions of churches, a part of Cairo and the southern regions of Egypt. Samuwil al-Siryani copied the text out by hand, and supplemented it with material taken from a new manuscript though he failed to provide any catalogue description of this source. What was new about this rather humble edition was the detection of the work’s actual author who turned out to be the previously unknown al-Shaykh al-Mu’taman Abu al-Makaram Sa’d Allah ibn Jirjis ibn Mas’ud. Abu Salah al-Armani, to whom the book had previously belonged, was only responsible for the second part of the copy now stored in the Paris library. The main part of the book was written by Abu al- Makaram between 555-583/1160-1187. The manuscript on which Samuwil al-Siryani worked is currently stored in Munich, at the Bayerischen Staatsbibliothek (ref. 2570). Prior to that, it was in the possession of a Copt, in Tanta, called Jirjis Falta’us ‘Awad. ‘Ali Basha Mubarak learned of the manuscript and managed to gain access to it, drawing on it greatly for the sixth part of his book al-Khitat al-Tawfiqiyah al-Jadidah. Hence too, then, there is a good argument for republishing this book, applying the correct scientific procedures to ensure the manuscript’s accuracy, because of its rarity and the importance of its subject matter. Some of the books of graphic description that emerged in Cairo after al-Maqrizi have never been published. Al-Tuhfah al-Fakhirah fi Dhikr Rusum Khitat al-Qahirah written by someone called Uqbugha al-Khasiki, and which was written for the honourable Sultan Qansuh al-Ghuri, is an example of these. The Bibliotheque Nationale de Paris keeps a copy of this (ref. 2265), which appears to be no more than the second part of al-Maqrizi’s book, begins with an account of Herat, and contains only some slight changes to al-Maqrizi’s approach. Qatf al-Azhar min al-Khitat wa al-Athar, by Muhammad ibn Muhammad ibn Abi al-Surur al-Bakri al-Siddiqi (d. 1060/1650), is an abridgement of al-Maqrizi’s work, but with additions in terms of subject matter and information from the Ottoman period. A copy of this is to be found in the Egyptian National Library (ref. 457 Geography and ref. 53 Tamurlane). From among the distinguished ranks of this period there emerge a number of writers whose subjects were the cities and holy places travellers were required to visit. Strictly speaking, they did not write about geography as such but they did cover Islamic holy sites, the early tombs, local inhabitants and Sufi orders, as well as provided chapters on language or the history of the origins of placenames. The aim of these writers was to provide a guide to instruct the devout and pious in the manner of visiting holy places. Two of the most important examples of this kind of geographic literature are al-Isharat ila Ma’rifat al-Ziyarat by ‘Ali al-Harawi (d. 611/1214) and al-Daris fi Tarikh al-Madaris by ‘Abd al-Qadir ibn Muhammad al-Nu’aymi (d. 648/1250). This genre of writing first emerged within Shi’i circles. However, the most important of these ‘travel’ books - the majority of which exhibit developments both in the way they were written as well as in their breadth of subject - were those dedicated to Cairo and its outlying areas. Here, I should mention the researcher Yusuf Raghib who wrote an article, published in 1973, about the books which were specifically devoted to travel in Cairo and the remote regions of Egypt. Of the 21 writers included in this genre, the work of one group has been lost. Another group was published in poor-quality editions and deserve reprinting, such as al-Kawakib al-Sayyarah fi Tartib al-Ziyarah fi al-Qarafatayn al-Kubra wa al-Sughra by Ibn al-Zayyat (d. 814/1412) and Tuhfat al-Ihbab wa Bughyat al-Tulab fi al-Khitat wa al-Mazarat by Nur al-Din Hasan ibn ‘Ali al-Shakhawi, a scholar from the tenth/sixteenth century. We can add to this list Misbah al-Diyaji wa Ghawth al-Raji wa Kahaf al-Laji, written by Ibn ‘Ain al-Fudala’ (d. 696/1297), two copies of which are to be found in the Egyptian National Library (ref. 1461 History and ref. 87 Tamurlane). One of the books which has been published is Murshid al-Zuwar ila Qubur al-Ibrar by the successful Ibn ‘Uthman (d. 615/1218), with a verification by Muhammad Fathi Abu Bakr, in Cairo, in 1995. This genre of literature flourished during the age of the Mamluks as a response to the state of Arab Islamic culture following the Mongol invasion and the fall of the ‘Abbasid dynasty in Baghdad. While the previous age was dominated by writers such as al-Jahiz, Ibn Qutaybah and Abu al-Faraj al-Isfahani, who represented the old style of writing, the kind of lexicon which emerged during the Mamluk era - beginning with that of Ibn al-’Atwat al-Kutabi and ending with al-Qalqashandi - was one of the greater achievements of the period and can always be clearly distinguished from other forms of geography. Muslim scientists working in this tradition made strenuous efforts over a period of several centuries and published a large number of books on every field of knowledge. Such scientists had to make constant efforts to keep up with everything that was being published in their particular field; this made for exhausting study. Their work led to a rise in the demand for abridged books about the world as Ibn Khaldun demonstrated with his Muqaddimah or Prolegomena. It appears that all these lexicons were produced in Egypt, written by the workers and scientists of the Mamluk government who aimed to provide books that could be of use to the courts in their work. As it happens, the work actually benefited ordinary citizens more than intellectuals because it solved general problems and covered a wider range of subjects - across a number of branches of science - than those the specialist writer needed to know about. In general, the writers of these works did not consider themselves to be scientists, but rather as writers of eminence in the body of the Mamluk court. They gained great prestige from their work and their inner circle, thus, became assimilated into the Mamluk establishment. However, despite their status, writers occasionally found themselves opposed to the system of order imposed by the harsh regime in court matters. This is, for example, very evident in the writings of al-Qalqashandi, especially in Subh al-A’sha. The first encyclopedia to appear during this era was Mabahij al-Fikar wa Manahij al-’Ibar, published by Jamal al-Din Muhammad ibn Ibrahim ibn Yahya al-Kutubi, a well-known writer who went by the name of al-Watwat (d. 718/1318). He was not one of the official government writers who frequented the Sultan’s court but, rather like Yaqut al-Hamawi, he was engaged in the business of publishing and trading books - which explains his nickname: the bat. Al-Safadi wrote; “He had knowledge of books and their worth”, “and he acquired a handwritten book of the history of Ibn al-Athir, known as al-Kamil, and when he wrote out the literary work in full he corrected and revised it”. Mabahij al-Fikar deals with matters of natural science and geography. It is written in a literary style and dotted with poetical asides. The book is divided into four main areas: astronomy; geography; ethnology and biography; the most important being geography. Included in this is information about the use of chemicals in farming. There is also a special section devoted to the geography of Egypt. Al-Watwat’s work played an important part in the development of the encyclopedia. Many of al-Nuwayri’s contemporaries relied heavily on his work for the transcription of extracts. A trail can be traced from this text through later works, both in the approach of dividing material into separate groupings of the ‘arts’, or specific fields of interest articulated within the book. This particularly applies to the special section on plants. Unfortunately, none of this valuable work has been published, except for a short section devoted to the geography of Egypt, which was published in Kuwait, in 1981, by ‘Abd al-‘Al ‘Abd al-Mun’im al-Shami. Manuscripts of the work are to be found in the Maronite Library in Aleppo, including a photostat copy in the Egyptian National Library (ref. 359) and another edition based on a transcription of this under reference 323f. Other fragments of the book are also to be found in the Egyptian National Library under the references 324 and 420; at the Taymouriyya Collection of the Egyptian National Library and in the Bodleian Library in Oxford, reference March 560. Under reference 4116 of the Fateh Library in Istanbul, there is a complete copy of the book in two parts, which was probably transcribed during the author’s lifetime. This was published in facsimile form by Fuat Sezgin in 1990. The most important encyclopedia to emerge during the age of the Mamluks was, however, Masalik al-Absar wa Mamalik al-Amsar, written by Ahmad ibn Yahya ibn Fadl Allah al-’Umari (d. 749/1349). The book did not, however, receive the acclaim that it deserved, being described by al-Safadi, a contemporary of al-’Umari’s as “a book replete with what can be learned from one such as he”. Al-’Umari divided his book into two large parts, the first consisting of “an account of the world and the lands and seas which it contains” and the second, “the inhabitants of the world and their main groups”. Each of the two parts is further divided, and which al-’Umari labelled with typographical terms. These were the same terms of classification that his contemporaries al-Watwat and al-Nuwayri used. The first part of this encyclopeadia is devoted to the world and its variations: ‘routes’ and ‘kingdoms’. It is a first-class source for studies of the age of the Mamluks, and it contains very specific information about the countries that were linked to the Mamluks by diplomatic connections extending through the countries they ruled. Nothing from the geography section of al-Masalik has been published, except for the first part edited by the Egyptian academic Ahmad Zaki Basha, which was published in Cairo in 1924. The remainder of the geography section certainly deserves to be published and there are manuscripts available in a number of libraries. The two most important of these are in Istanbul. 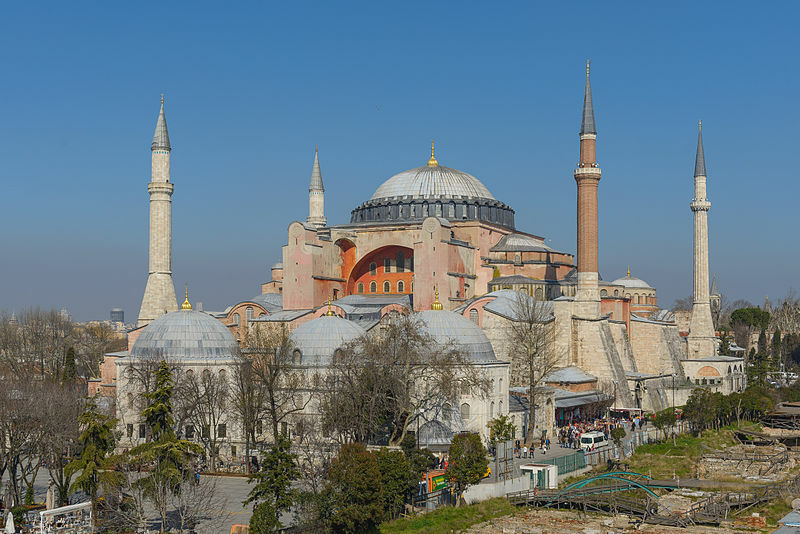 One is in the Ayasofya Library in Istanbul, a copy in 24 leather bindings from two different manuscripts, the first part of which is missing (ref. 3415 to 3439). There is also a copy in the Ahmed III Library (ref. 2797), which contains a drawing of that quarter of the inhabited world, between pages 342 and 343 in the first part of this manuscript. 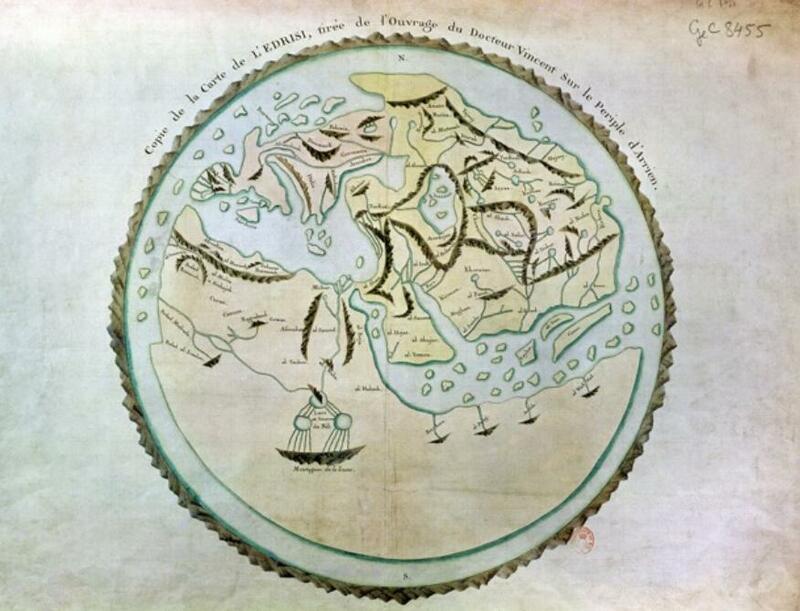 This constitutes the earliest available piece of the al-Ma’mun world map still in existence. The copy is in the author’s handwriting and was transcribed in 740/1340. This copy was published in facsimile form, in 1988, by Fuat Sezgin. During the Mamluk period great attention was paid to publishing books about administrative regional geography; those working in the service of the Mamluks made great strides in this respect. Such works were basically a form of administrative and economic review based on offical books of accounts. One example is al-Minhaj fi Ahkam ‘Ilm Kharaj Misr, which was written towards the end of the Fatimid period by Qadi ‘Ali ibn ‘Uthman ibn Yusuf al-Makhzumi (d. 585/1189). Two editions of this book exist. The first was published at the end of the Fatimid period, around 565/1169. It was then revised (as a second edition), supplemented with additions, in 581/1185, or shortly thereafter. This followed a long period of rule by the Ayyubids when numerous improvements were made. Al-Makhzumi’s book, thus, constitutes an excellent source of information about the administrative, agricultural and economic systems in Egypt during the sixth/twelfth century. In 1986, Claude Kahane published selections from the sole copy of the book, now kept in the British Library (Add. 23483), but the work really demands an accurate publication that adheres to the scientific rigours of verification in accordance with the literature now available. The remaining books published in this genre include Quwanin al-Dawawin by Ibn Mammati (d. 606 /1209) and Luma’ al-Quwanin al-Madiyah fi Dawawin al-Diyyar al-Misriyah by ‘Uthman ibn Ibrahim al-Nabulsi (d. 632/1234). There are also two further works that were of the utmost importance in establishing this new science: namely Tarikh al-Fayum wa Biladihi also by al-Nabulsi and al-Tuhfah al-Saniyah bi Asma’ al-Bilad al-Misriyah by Shaykh Sharaf al-Din Yahya ibn al-Maqraban al-Jay’an (d. 885/1480). This type of literature developed in Egypt because it was based on land surveys; it varied from rather basic, straightforward texts to those replete with information. This is particularly notable with the emergence of the form known as al-Ruk, the aim of which was the measurement and public administration of cultivated land. The first such work was al-Ruk al-Afdali, which appeared in 501/1107, followed by al-Ruk al-Hussami in 696/1296 and lastly al-Ruk al-Nasiri in 714/1314. An edition of Al-Ruk al-Afdali was published by Bernard Moritz in Cairo, in 1899, and was based on a manuscript in the Egyptian National Library dated 851/1447. Moritz’s edition was published at the height of the editor’s illness and, hence, he did not consult a second manuscript, dated 691/1292, entitled Idhar San’at al-Hayy al-Qayyum fi Tartib Bilad al-Fayyum, which is kept in the Ayasofya Library in Istanbul (ref. 2960). The book is one of the earliest sources on the collection of taxes during the Ayyubid period and provides us with very detailed information on social and economic life in certain regions of Egypt during the seventh/thirteenth century. 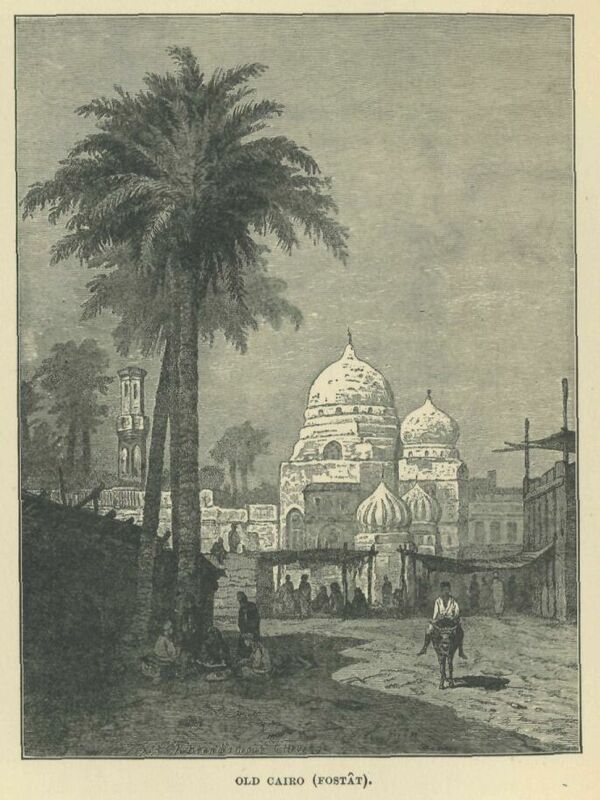 Al-Ruk Hussami was also published by Moritz, in Cairo. This edition does not differ very much from that published by al- Nablusi. In his introduction to the work, the author writes: “In this book, I describe the regional lands of Egypt, which I traversed thoroughly. First, I describe the regions in their entirety, and I mention the crucial elements of the regions in question regarding what came to pass in the days of the honourable Sha’ban. The importance of these lands has changed and so too our account of them now”. The leading survey of this type was the work Taqwim al-Buldan al-Misriyah fi al-A’mal al-Sultaniyah, published by the sultanate court around 777/1375, during the days of the Mamluk Sultan al-Ashraf Sha’ban. There is also a further and very precious copy of this book, which again Moritz did not consult. This is a stored copy, marked as belonging to Prince Yashbak al-Sifi al-Dudar in the days of the Sultan Ashraf Qayit Bay in Sha’ban 883 hijri, and kept in the Bodleian Library, Oxford (ref. 697 Huntingdon): this truly demands to be republished. To this gallery of authors another name should be added: that of Ibn Shahin al-Zahiri (d. 872/1468) whose Zubdat Kashf al-Mamalik includes a section devoted to the postal system. This volume provides valuable knowledge about the Mamluks in general terms and more specifically about the stations and houses of the postal system. It, therefore, gives us details of great importance. Paul Ravsasse published an abridgement of the text, in Paris, in 1894. By good fortune, the original copy of a book by Ibn Shahin was recently discovered in Iran. Entitled Kashf al-Mamalik wa Bayan al-Turuq wa al-Masalik, the work is in two volumes divided into 40 chapters, of which 12 chapters are of great substance. Soheil Zakar of the University of Damascus is currently preparing this work for publication. The most important books in this category - which have never before been published - are the writings of Ibrahim ibn Wajaf Shah, an Egyptian writer who distinguished himself in his depiction of the age in which he lived. However, Al-’Aja’ib al-Kabir, which is the most reliable source on his work, is stored in St Petersburg and dated 607 hijri - which is actually after the writer’s death. A number of books are attributed to Ibn Wajaf Shah: Al-’Aja’ib al-Kabir and the abridged version of this work entitled ‘Aja’ib al-Dunya, Akhbar Madinat al-Sus, Jawahir al-Buhur wa Waqa’i’ al-Duhur fi Akhbar al-Diyyar al-Misriyah, which appears to be the same as Tarikh Misr, and deals with the history of the Pharonic period. Both al-Maqrizi and Ibn Iyyas copied extracts from this. From the transcriptions made by Ibn Iyyas from Ibn Wajaf Shah’s writings it appears that he devoted one chapter in Tarikh Misr to every significant town in Egypt, giving its history in ancient times. The book testifies to Ibn Wajaf Shah’s tendency to record curious information, particularly with regard to the discovery of treasure after the arrival of Islam in the country. It is, furthermore, difficult to draw a firm conclusion on the material contained in this book - of which no intact copy has survived - in the light of the amount of information we currently have. Manuscripts of his other works can also be found: in particular, Kitab al-’Aja’ib al-Kabir, in St Petersburg (ref. 740) and ‘Aja’ib al-Dunya in the British Museum (ref. 1526). While the Egyptian writers, who looked up to him with reverence and respect, called him Ibn Wajaf Shah, the Andalusian writers - Ibn Sa’id and Umayyah ibn Abi al-Salt - who also knew his work, referred to him as al-Wasifi. 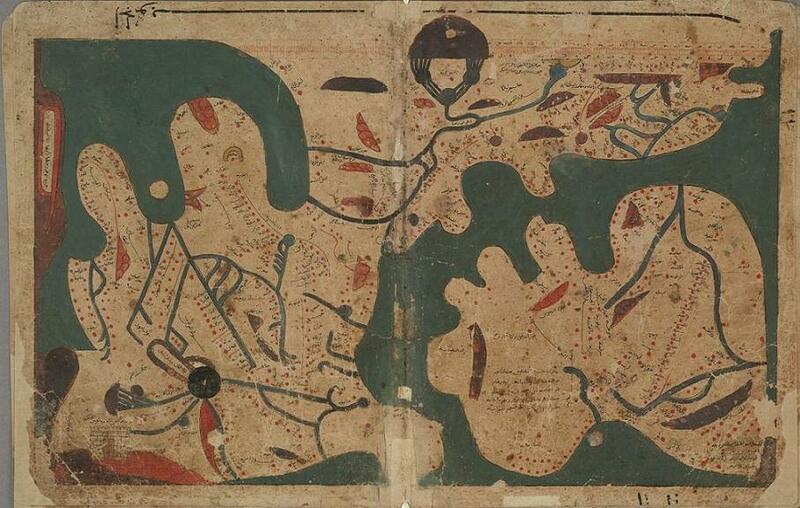 The Book of Curiosities - The oldest extant rectangular world map: Book 2, Chapter 2 (MS. Arab. c. 90, fols. 23b-24a). © The Bodleian Library. (Source). 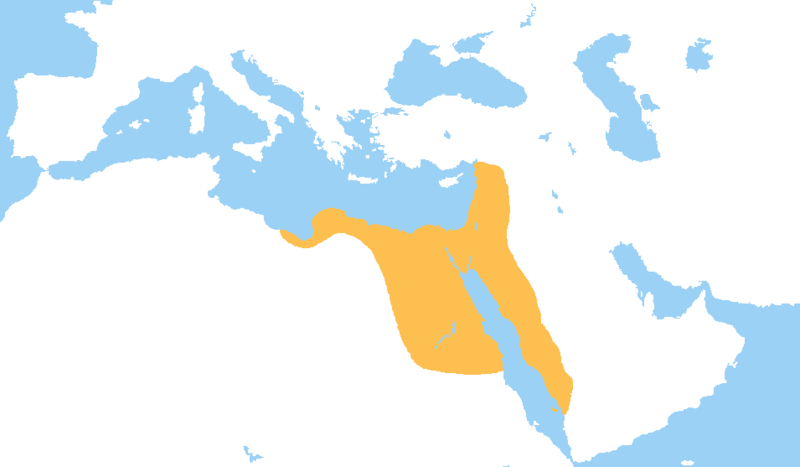 Kratchkovsky observed that the literature of Arab geography had dwindled considerably by around the ninth/fifteenth century. Nothing remained except limited examples of regional geography and descriptions of journeys. Towards the end of the fifteenth century, the Portuguese succeeded in circumnavigating the African continent and Columbus discovered the route to America. Although the Arabs were far from any of these achievements, or were not concerned with such achievements, Vasco da Gama nonetheless would not have been able to make his discovery of the route to India without the benefit of Arab scientific enterprises, especially in terms of the availability of the compass and sea charts. It was also a Muslim from Gujarat, known as Kana al-Mu’allim, who guided him from Milindi to Calicut. The area of enquiry with which Arab geographic literature of the period concerned itself was that of what can be termed ‘navigation geography’. Exponents of this art could be found in the region surrounding the Indian Ocean, and the seas and gulfs beyond. 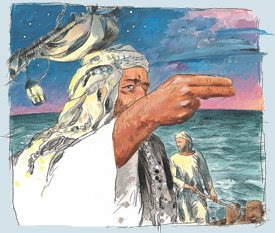 This navigational geography did not emerge from a historical void but rather had its roots in the collections of stories and sea journeys dating back to the fourth/tenth to the fifth/eleventh centuries, stories such as those by the merchant Sulayman and Abu Zayd al-Sirafi. This literary genre was known as ‘the literature of sea pilots’ (al-rahnamaj). It comprises the reports of sea captains whose guides to sea routes answered most questions about navigation. The homes of these rahnamajat were Siraf and Oman. What has been passed down to us has its origins in the ninth/tenth centuries hijri or fifteenth/sixteenth centuries CE. Two of the writers in question were Ibn Majid and Sulayman al-Mahri. None of the original Arabic manuscripts of Raban Ahmad ibn Majid al-Sa’adi al-Banjadi were, however, known until 1912. Today, the known writings of Ibn Majid amount to 40 drafted texts, the majority of them in verse. None have been published, except for al-Fawa’id fi Usul ‘Ilm al-Bahr wa al-Qawa’id, Thalathat Azhar fi Ma’rifat al-Bihar and Hawiyat al-Ikhtisar fi Usul ‘Ilm al-Bihar. Few of the writings of Sulayman al-Mahri have survived to the present day except the five books, preserved in manuscript form, in Paris (ref. 2559). Their content repeats to a large extent Ibn Majid’s material. The following works have been published: Tuhfat al-Fuhul fi Tamhid al-Usul wa Sharhuha, Al-’Umdah al-Mahriyah fi Dabt al-’Ulum al-Bahriyah, Qiladat al-Shumus wa Istikhraj Qawa’id al- Usus and Al-Manhaj al-Fakhir fi ‘Ilm al-Bahr al-Zakhir. From the above it is clear that the original sources for the central works of Arab geography found their way into print and academic study thanks to the efforts of orientalists in or about the middle of the nineteenth century. Arab scholars have only begun to make their presence felt in the last few decades, as though there were no Arab geographers involved in this field, only innumerable researchers. Arab historians and geographers seem to view the matter of the scientific publication of source works as being of no great importance in itself, despite knowing that it is the principal means of access to true learning about the involvement of Arab geographers in the universal history of geography. Most of the sources published during the nineteenth century should now be assessed as to whether or not they require re-editing. Any new editions should conform to the guidelines of scientific publication and the verification of texts based on more recently discovered manuscripts and should, furthermore, consider the emergence of more specialised studies dealing with the subject and its writers. Special attention here should be given to the work done in this field by Gabriel Ferran, Kratchkovsky, Andrea Michael, Maqbul Muhammad, Hussein Munis and Fuat Sezgin. Orientalists working during the nineteenth century selected the most important sources for their study using material that had been copied by later geographers. By adopting this methodology, they altogether excluded other authors in the field whose absence shows in the contents of the work they published. The work begun by orientalists, thus, needs to be completed. In this respect, we need to go back to the original sources and try to reassess the information that is available in them with respect to the actual eras to which they refer. The loss of numerous written sources of geographic heritage makes it difficult for us to access the development of this legacy accurately unless the sources that have been separated from their origins can be restored. All that remains of them are extensive transcriptions found in the works of later writers. Moreover, numerous geography source texts remain unpublished, and manuscripts exist - distributed around the various libraries of the world - which are available for study. In the majority of cases, the publication of transcribed sources does not necessarily improve our geographical knowledge. However, although Nashq al-Azhar fi ‘Aja’ib al-Aqtar by Ibn Iyyas (d. 930/1524) is a text of at least secondary transcription, and includes mistakes, in places it nonetheless does go back to sources that are now lost, such as Akhbar al-Nubah by Ibn Sulaym al-Aswani and even an hitherto unknown draft by al-Idrisi (from a copy in the Egyptian National Library, ref. 439 National Geography in Paris 2207, 2208, 2209, 2210, 2211, 2213; British Library 7503). This article is take from "The Earth and its Sciences in Islamic Manuscripts: proceedings of the fifth conference of Al-Furqān Islamic Heritage Foundation" book (Page 175-219), ;2011, ;ISBN 978-1-905122-12-7. We are grateful to Al-Furqān Islamic Heritage Foundation for granting permission. Please note that the images are added to this article by the Muslim Heritage Editorial Board. Kratchkovsky, Tarikh al-Adab al-Jugrafi al-Arabi translated from the Russian by Salah al-Din Uthman Hashim (Beirut, Dar al-Gharb al-Islami, 1987), p. 212. Fuat Sezgin, The Contribution of Arab and Muslim Geographers in the Creation of the World Map (Frankfurt, 1987), pp. 19-20. Fuat Sezgin, Introduction to the Tested Zij of al-Ma’mun, p. 5. Al-Masudi, Kitab al-Tanbih wa al-Ishraf (Leiden), p. 33.1967. Al-Zuhari, ‘Kitab al Jughrafiya’, ed. Hadi Sadiq, BEO, XXI (1968), p. 308. Fuat Sezgin, Introduction to the Tested Zij of al-Mamun, p. 21; Kratchovsky, Tarikh al-Adab al-Jughrafi, p. 113. Maqbul Ahmad, E.l., ‘Djughrafia’, pp. 593-594. Kratchkovsky, Tarikh al-Adab al-Jughrafi, p. 212. Maqbul Ahmad, E.l., ‘Djughrafia’, p. 595. Kramers, Introduction to Ibn Hawqal’s ‘Surat al-Ard’, II. Leiden: 1938-9. Al-Muqaddasi, Ahsan al-Taqasim (Leiden, 1906), p. 4. Ibn al-Nadim, al-Fihrist, p. 167; Yaqut al-Hamawi, Mujam al-Buldan, Vol. II, p. 400, taken from Ibn Nadim. Vol. I.
 Kratchkovsky, Tarikh al-Adab al-Jughrafi, p. 144. Yaqut al-Hamawi, Mujam al-Buldan, Vol. I, pp. 840-842. Ibn al-Nadim, al-Fihrist, p. 153. Al-Muqaddasi, Ahsan al-Taqasim, pp. 4-3. Al-Masudi, Kitab al-Tanbih wa al-Ishraf, p. 75. Al-Idrisi, Nuzhat al-Mushtaq (Rome and Napoli, 1948-1970), pp. 5, 76, 934, 961. Kratchkovsky, Tarikh al-Adab al-Jughrafi, p. 253; Andrea Michael, Jughrafiyat Dar al-Islam al-Bashariyah, Damascus, 1983, Vols I-II, pp. 121-122. Yaqut al-Hamawi, Mujam al-Buldan, Vol. III, pp. 19-20. Andrea Michael, Jughrafiyat Dar al-Islam , p. 122. Salah al-Din al-Munajjid, ‘Qitah min Kitab Mafqud - al-Masalik wa al-Mamalik li al-Muhallabi’, Majallat Mahad al-Makhtutat al-Arabiyah, 4 (May 1957), pp. 43-72. Al-Maqrizi, Al-Muqaffa al-Kabir, Vol. VI, p. 574-575; Kratchkovsky, ibid., p. 210. G. Troupeau, ‘La description de la Nubie d’al-Uswani’, Arabica, 1 (1954), pp. 276-288; H. Muh, ‘A Contribution to a Textual Problem: Ibn Sulaym al- Uswani’s Kitab Akhbar al Nubah wa- al-Maqurra wa al- Begha wal-Nil ’, An. 1st, xxl (1985), pp. 9-72. Yaqut al-Hamawi, Mujam al-Buldan, Vol I, p. 7. Ibid ., Vol 7, p. 1. Hussein Mu’nis, The History of Geography and Geographers in al-Andalus (Madrid, 1967), pp. 21, 59-72. M. Hadj Sadok, ‘Kitab al-Djughrafiya de Abu Abd Allah al-Zahiri’, BEO, XXI (1963), pp. 7-312. Hussein Munis, The History of Geography, p. 73. Kratchkovsky, Tarikh al-Adab al-Jughrafi, p. 296. ‘Abdallah al-Ghunaim, Masadir al-Bakri wa Manhajuhu al-Jughrafi (Kuwait, 1996), p. 26. Hussein Munis, The History of Geography, p. 149. Al-Maqqari, Nafh al-Tib min GhuSn al-Andalus al-Ratib, ed. Ihsan Abbas, (Beirut, Dar Sadir, 1968), Vol. VIII, (al-Kashaf ), p. 37. Hussein Munis, The History of Geography, p. 156. Al-Maqqari, Nafh al-Tib, Vol. VI, p. 291; Vol. VII, pp. 105-106. Kratchkovsky, Tarikh al-Adab al-Jughrafi, p. 236. Hussein Munis, The History of Geography, p. 507. Kratchkovsky, Tarikh al-Adab al-Jughrafi, pp. 303-304. Oman, G.,” A propos du second ouvrage geographique attribue au geographe arabe al-Idrisi’ Le Rawd al -Uns wa Nuzhat al-Nafs ‘Folia Orientalia 12 (1970)pp.187-193. Abdallah Yusuf al-Ghunaim, ‘Al-Idrisi’s Uns al-Muhaj wa Rawd al-Furaj’, al-Bayan Magazine- Rabitat Udaba al-Kuwait. (May 1971), 24-29. Ayman Fuad Sayyid, ‘L’Evolution de la composition du genre des Khitat en Egypte Musulmane’, An. Isl., XXXIII (1999), pp. 1-11. Al-Maqrizi, Al-Khitat, al-Furqan Islamic Heritage Foundation, 1998, Vol. I, p. 5. Al-Suyuti, Husn al-Muhadarah, Vol. I, p. 127. Al-Maqrizi, Al-Muqaffa al-Kabir, Vol. VI, p. 431. Al-Maqrizi, Al-Khitat, Vol. II, p. 288. Abdallah al-Ghunaim, al-Makhtutat al-Jughrafiyah al-Arabiyah fi al-Mathaf al-Britani, (Kuwait, al-Majlis al-Watani li al-Thaqafah wa al-Funun wa al-Adab), 1980, p. 85. Al-Maqrizi, Al-Khitat, Vol. I, p. 342. G. Salmon, Essai sur la topographie du Caire, (Cairo, IFAQ, 1902), p. II. Tarikh al-Kana-is wa al-Adyirah fi al-Qarn al-Thani Ashar al-Miladi li Abi al-Makarim Sad Allah Alladhi Nussiba Khat’an ila Salih al-Armani, prepared by Samuwil al-Siryani (Egypt, Dair al Siryan, 1984). Ali Mubarak, Al-Khitat al-Tawfiqiyah al-Jadidah, (Cairo) Vol. VI, pp. 74-79. Y. Raghib, ‘Essai d’inventaire chronologique des guides a l’usage des pelerins du Caire’, REI , XLI (1973), pp. 259-280. Ibn Khaldun, al-Muqaddimah, Abd al- Wahid Wafi, (Cairo) Vol. III, p. 1242. Kratchkovsky, Tarikh al-Adab al-Jughrafi, pp. 435-436. Al-Safadi, al-Wafi bi al-Wafayat, Vol. II, p. 16. Ibid., Vol. VIII, p. 255. Ibn Fadl Allah al-Umari, Masalik al-Absar; ed. Ahmad Zaki Basha (Cairo, 1924), p. 6. Kratchkovsky, Tarikh al-Adab al-Jughrafi, p. 512. Hajji Khalifah, Kashf al-Zunun, (Beirut, 1990) Vol. I, p. 190; Vol. II, pp. 150, 641; Vol. IV, p. 186; Vol. V, p. 114. Al-Maqrizi, Al-Khitat, Vol. I, pp. 111, 129. Ibn Iyyas: Bada-i al-Zuhur, (Cairo, 1983) Vol. I, p. 105. A. Ferre, Un auteur mysterieux Ibrahim b. Wasif Shah, An. Isl, XXV (1991), pp. 139-151. Kratschovsky, Tarikh al-Adab al-Jughrafi, pp. 608-609.